Music could be used to track human migration patterns over history, new research suggests. 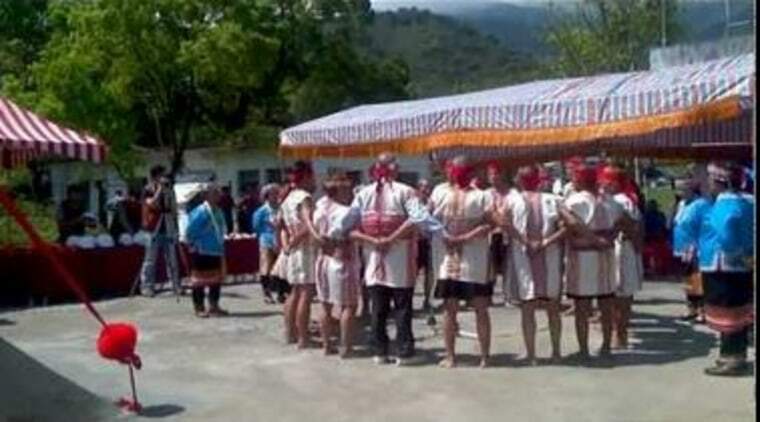 That conclusion, described Tuesday in the journal Proceedings of the Royal Society B, came from examining a genetic analysis of indigenous populations in Taiwan along with the people's folk music. Populations with more similar folk music also tended to be more closely related, the researchers found. Though most people in Taiwan today are ethnically Chinese, the island retains a small population of aboriginal people, who are likely descendants of this ancestral Austronesian population. Steven Brown, a neuroscientist at McMaster University in Canada, and his colleagues wondered whether music held clues to human migration. Originally, they planned to compare musical selections to trace the entire Pacific migration. But with more than 1,200 Austronesian languages to study, they soon realized they were in over their heads. Instead, the researchers looked at the population makeup of Taiwan. They compiled recordings of 220 folk or traditional choral music songs from nine aboriginal populations that have remained fairly isolated from each other over their history. The researchers also excluded music with any pop elements or Christian influences, as these were likely to be influenced by newer trends. At the same time, the team analyzed mitochondrial DNA, which is carried in the cytoplasm of a woman's egg and is therefore passed on through the maternal line, from 640 people in the aboriginal groups. By comparing elements of the music, such as pitch, texture and rhythm, with the genetic data, the team found that groups with more similar musical styles also tended to be more closely related genetically. Though using folk music to trace human migrations wouldn't replace genetic or linguistic studies, it could add an additional layer of information, Brown said. Because music is universal but also diverse enough for differences to track with population changes, it could be used to study many different regions of the world. "We 're trying to add music as a new kind of evidence," Brown said. "The more kinds of things you can include in the story of humanity, the better off you are." Now Brown and his colleagues are studying music in Japan to see if it can shed light on that island's ancient history. "This is a landmark study, which has revived some old debates about musical coding and cultural and geographical mapping in the 1970s with fresh perspectives," Shzr Ee Tan, a music researcher at Royal Holloway University of London who studies Taiwanese aboriginal folk songs, wrote in an email. Still, there are some caveats, she said. "It's becoming increasingly hard to pin down what folk means — the idea that it equates with authentic and untainted is really a romantic and untenable one," Tan told LiveScience.